Consumer spending, long a driver of the global economy, is undergoing sweeping change. From the United States to China, a shift in the way people spend money is underway and its impact on the world’s economy could be huge. 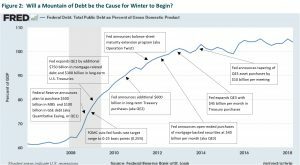 If spring represents recovers, and summer the peak of economic growth, then the U.S. economy may be well into fall and…. winter is coming. The way of the maverick: the surest path to reach your destination. In late September we completed our annual 3-5 year outlook and, as always, our focus was to identify the key economic and political forces that will shape the global economy and financial markets over the next three to five years. During this process, we gather insights from world-renowned experts on economic and political issues—economists, policymakers, investors, scientists and historians—who bring valuable, multi-dimensional perspectives that help us evolve and enhance our process. 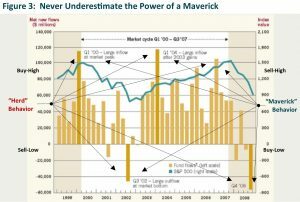 For more than 30 years, this focus on long-term fundamentals has provided the important guardrails and maverick thinking against which we can identify opportunities and risks and implement long-term investment strategies to help investors reach their destination—safely and on time. Here’s a first: By 2025, 4.2 billion people out of a global population of 7.9 billion will be part of the consuming class. That means, for the first time in history, the number of people with discretionary income will exceed the number still struggling to meet basic needs—a phenomenon that may well be the biggest opportunity in the history of capitalism. Whether it’s millennials in the U.S. or families in India, a shift in the way people spend money is underway globally. That dynamic may also be at work in China, as the country continues on the path to having the world’s largest consumer economy. Income is rising in these areas. As incomes rise, people tend to spend more. For example, in the U.S., consumer spending accounts for 68% of the economy. In China, it’s currently only 53%. China’s consumers are coming online, they’re expanding their wealth, taking more vacations and more of China’s growth will come from the consumer. 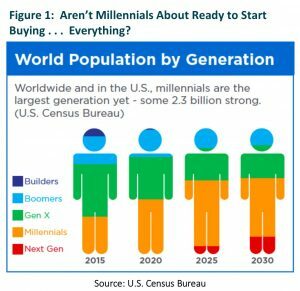 As you can see in Figure 1 below, demographics will have a major impact on the future of the global economy, particularly due to the aging of millennials, who were born from 1980 to 2000. There are about 80 million in the U.S, but most of the world’s 2 billion millennials are living in emerging markets. In Brazil, India and China, they outnumber baby boomers. They are about to reach their prime working and spending years, and their impact on the world’s economy could be huge. Talk about pent-up demand. Millennials have been battered by the Great Recession, swamped with student debt and stuck in their parents’ basements for years. They’ve put off getting married, having kids and buying a car, much less a house. But those days may be coming to an end. Millennials are also taking a collaborative and transformative approach to consumption. Technology has made sharing assets relatively inexpensive and possible on a large scale. In this sharing economy, people rent rooms, cars or luxury purses directly from each other via the Internet. Some companies facilitating this collaborative consumption now have multibillion-dollar market caps, including Airbnb, Uber and HomeAway. While demographics will have a major impact on the future of the global economy, the emerging markets are gaining a greater share of global trade today! Despite recent volatility (not a surprise, given the substantial gain over a two-year period that stretched from January 2016 to January 2018,) emerging markets could gain support from a combination of factors. Corporate profitability and debt measures are stronger and improving. Valuations for emerging markets stocks are trading below their 10-year average on a price-to-earnings basis, and the valuations, in some cases, have become even more compelling as recent volatility is creating even more opportunities. At the same time, aggregate profits for companies in the MSCI Emerging Markets Index are estimated to rise by 16% this year and 11% in 2019 on a year-over-year basis, according to estimates by data aggregator FactSet. Of course, not all companies will thrive in this new environment. This is why we invest in companies through an active-managed fund structure, not indexes. Active managers can find compelling, long term growth companies that are very stock specific and they don’t hinge on any sort of tailwind from particular sectors or economies. Having a forward view gives investors an advantage because you ultimately want to buy companies, not based on past results, but where they’re going. What’s beautiful about this is that they’re all in different industries and countries. The ability of active managers to add value is significant. Recessions have long been associated with winter weather. While most mainstream economists theories contain as much fantasy as HBO’s hit series Game of Thrones, using seasons as an analogy for the stages of a business cycle is intuitive. If spring represents recovery, and summer the peak of economic growth, then the U.S. economy may be well into the fall (pun intended). But, that same exact sentiment existed before the last recession! Most infamously, then-Federal Reserve Chairman Ben Bernanke stated in January 2008—exactly one month after the recession technically began: “the Federal Reserve is not currently forecasting a recession.” How could Chairman Bernanke have been so wrong then, and why may so many mainstream economists be likewise wrong today? And, while we presently don’t observe the signs of an oncoming recession, how could the stock market possibly lose half of its value (which I referenced in a letter last month) without one? The answer lies in all the formerly unbelievable numbers and ways that central banks and governments, not to mention investment banks and investors, are all using credit. We no longer have business cycles, we have credit cycles stressing the base of stability. A recession warning will likely come after market losses are already underway, not before. On the subject of Federal Reserve policy, the current high-fives about the success of highly-experimental and extraordinary use of monetary policy, as shown in Figure 2, is a lot like declaring victory at halftime in a football game being played at the base of a mountain— just before a massive avalanche buries the leading team’s locker room and its players! As we saw in the collapse of the 2007 housing bubble, we have to allow for the possibility that the second half of the game may unleash a recession that proves to be unusually severe by historical standards. What causes an avalanche? Most avalanches are triggered by something (wind, snow, rain or sun) that stresses the snowpack to its breaking point. Every avalanche starts out the same way, when a single snowflake falls and makes the pile just slightly too steep at one point. The more comfortable we get with a given condition or trend, the longer it will persist, and then when the trend fails, the more dramatic the correction. If we believe that tomorrow and next year will be the same as last week and last year, we are more willing to add debt or postpone savings in favor of current consumption. Thus, the longer the period of stability, the higher the potential risk for even greater instability when market participants must change their behavior. The efforts by regulators and central bankers to create stable systems and prevent small slides actually creates the larger avalanches that bring down whole systems and spark global recessions. Most advisor-client discussions too often end after a discussion of expected returns and volatility (how widely shorter-term returns can vary around longer-term expectations) but this misses a crucial element in how human beings think about risk. Much of our happiness is centered, not on achieving goals, but rather our position relative to our neighbor’s success. The risk of being wrong, and alone, can be quantified by tracking error, a measure of risk. In today’s world, this evolutionary tendency manifests as a natural discomfort when we receive different outcomes from our peers, which our society has described through the recently coined term “Fear of Missing Out” (FOMO)! “Maverick” behavior, then—as you can see by the large flow of funds in Figure 3— presents opportunities to investors who are willing to bear the discomfort of acting differently from their peers. This can take the form of shunning popular, but expensive, investments as Sir Isaac tried, but failed, to do, or by investing in unloved, discounted assets that may be unpopular, but often because of that unpopularity are priced to deliver attractive expected returns.